Can you imagine how thrilling it will be to play treasure hunt with your kids inside your home, every day? With an added bonanza: you don’t have to step outside the home for a walk, or workout in the gym, and still get your daily share of exercise? If you answered in the affirmative, you’ve found your dream home! No pun intended. How you imagine your dream home to be, or what you buy because that fits your budget is personal to everyone. A home cannot be judged by its square footage, or how stacked it is. What works for you may not work for me, and vice versa. This was the first house we visited. 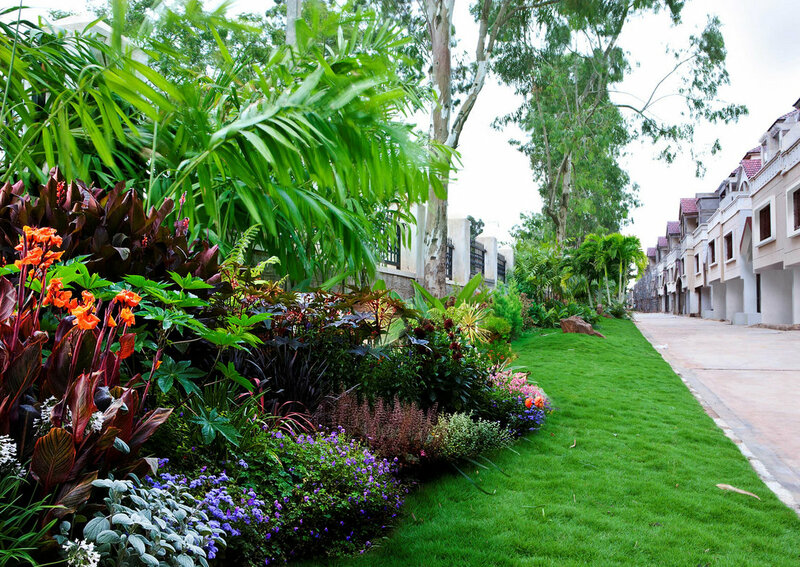 It is situated behind Brigade Metropolis with access from both the Whitefield Main road and Kundalahalli side. We were greeted to some pleasant awful smell of a dead dog the time we were at the property. My son nicknamed this property the Treasure Hunt. 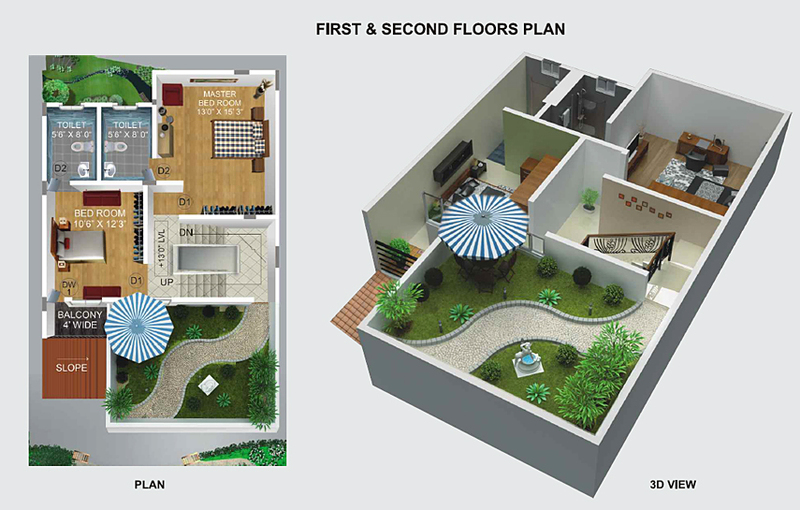 Space Planning : 4/5 Bed Rooms with attached bathrooms, Family area / Family Entertainment Area & Pvt.Terrace. 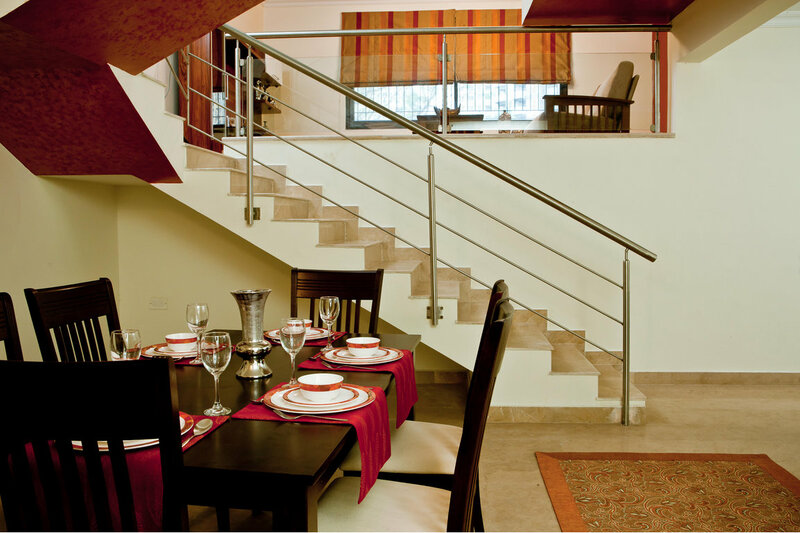 Amenities : Spacious Club house consisting of Gym, Multi – Purpose hall, Swimming Pool & more. Status : Ready for interiors. Quoted Price (pre-negotiation): Rs. 1,74,09,012 for a 4 BHK 3,485 sq. ft all inclusive (registration, maintenance, BWSSB deposits) etc. Location: it’s easily accessible to ITPL, Kundanahalli, etc. In a city like Bangalore where you spend about 1.5 hrs on the road each way for a 15 Km drive,having a house at a great location can be a blessing. That is one thing we’ll be letting go when we move! 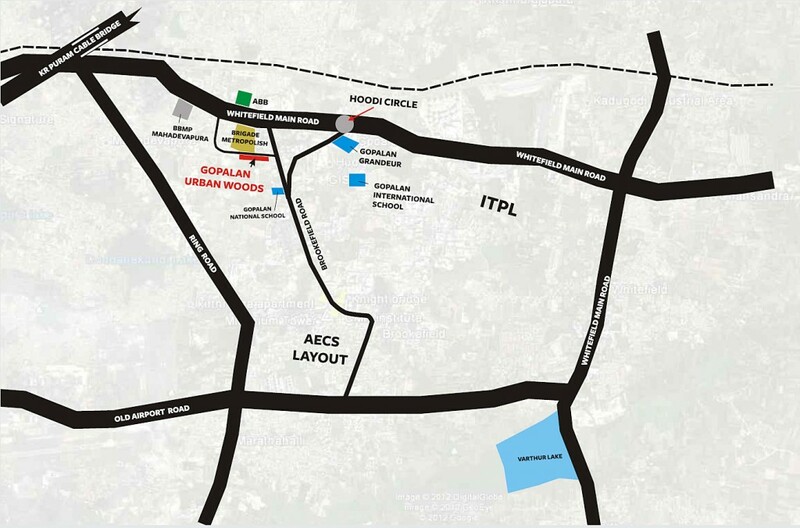 Our current house is strategically located with literally a doorstep access to Volvo buses plying to Manyata, E-City, ITPL and the city. Little scope for traffic right outside your doorstep. It’s tucked in away from the main road, while being accessible at the same time. Split level plan: this was new to me as I have been away from this housing market for four years now. In a split level plan, each floor is divided into two levels. As a result, even though a house has more sq. ft area, it is vertical, which means you go up and up to access rooms. No bed room in the ground floor which makes it difficult for parents when they visit us. There are two bedrooms in the first floor, and if one is used as the kids’ room and the other as guest bedroom, it means the master bedroom will have to move to a level further up. Phew! The plan of each unit is different, but none of the ones we saw had a bedroom in the ground floor. A cleaning nightmare. Way too many levels within the house. Even for someone like me with an analytical bent of mind, it was tough to get my head around the house. A house is something that should be easily navigable inside with no sense of secrecy. Not much of a play area for older kids. Since the walkway doubles up as driveway, that’s about the only place older kids have to run around. I have to be candid else I’m not doing justice to this review: the plan didn’t work for us, which makes it one good reason not to have picked this property. A 4′ wide balcony – what is its purpose? Before a visit to any property, I call up the marketing office and get the basic details before deciding to go down. In this case, it was one HUGE task to find someone who would show us around. Don’t just go by the sq. ft area. It is misleading. Usually, if you have seen properties from the same builder in the past and you have not liked it, there is little chance you’ll like them now. See this post on Gopalan Grandeur from 2010. The final verdict: would I have agreed to move in if I someone gifted it to me: NO. P.S. I’ll publish follow-up posts on the topic in the first week of June. I’m off for the next two weeks to Chicago and DC to show my son around, and do some touristy stuff. Why the price is never right to buy a home? A two-level plan on each floor sounds really tiresome. 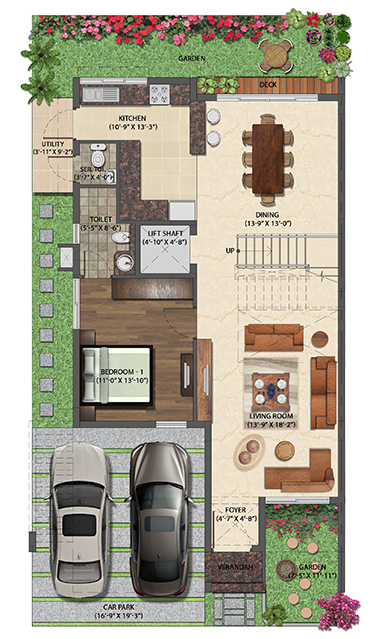 I've always found that the smaller the area sq.ft of a house, the better is the floor plan. The architects probably have no clue of how to optimize when given a bigger area. I really wonder why? Haven't all of us been customers once or is it too difficult to imagine from the view of a customer or do the builders care so less?! Just happen to see a picture of your living room in Facebook !!! Wud love if you can give us a mini tour of your home and in the process, explain the various facets of design that you have incorporated and also, how to pull everything together for a neat, cohesive look. It wud be great for beginners like me !!! Also, I would like to know whether you teach home decor as an online course. If so, I would be greatly interested . Hi Vandana: that's very flattering to hear. Sorry to disappoint you, no course as of now :) Just follow your heart and what works for your family. Use what colors you like, and not because you see oranges,yellows and reds all around you. Are the seating and bedding comfortable? Go by what makes you happy. It's not a store..it's your canvas, so feel free to experiment. We all learn along the way. The three of us like to have enough floor and wall space, so it's not be your traditional Indian decor. Even so, I think more clutter has founds its way in the recent months.